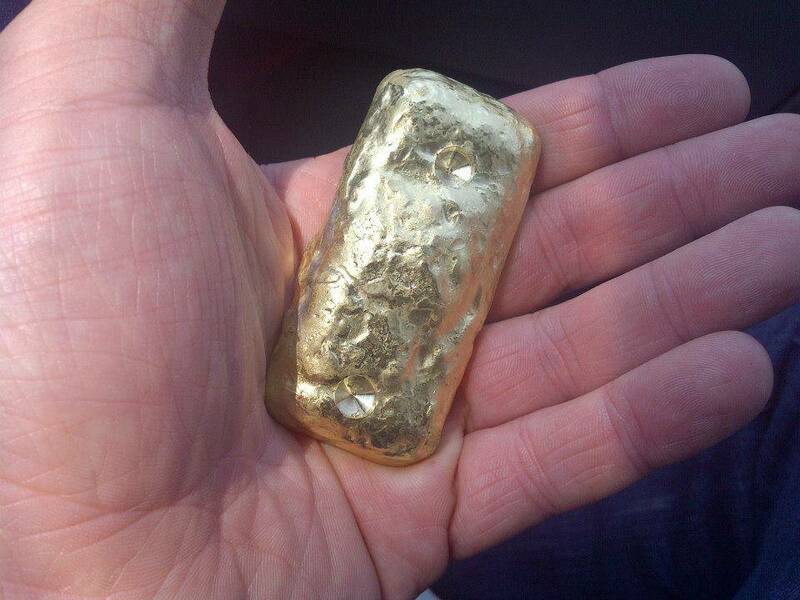 This is a crude gold bar after production on Tanzanian gold mining site. Often miners are not collecting gold to have such larger gold bars, they sell it as soon as possible. When gold mining site is run by European or Westerner, gold is often collected and assayed before the sale to maximize the profits. We are the initiator and provider of the business program to Start Your Own Gold Mine.